Cambridge Day Surgery wants your stay to be as comfortable and as stress free as possible. Please read more about our facility and services. Cambridge Day Surgery is a free standing Day Surgery with a 23 hour licence. The facility has 19 licenced beds with 3 shared rooms with ensuites for patients who require an overnight stay. 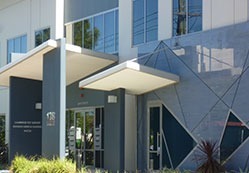 The day surgery is located 5 minutes from the CBD in Perth, Western Australia and was commissioned in June 2008. Three operating theatres provide operating services for Plastic and Reconstructive Surgeons, Oral Surgeons and Urologists.